To order books in North America, please contact American Friends of Neot Kedumim. 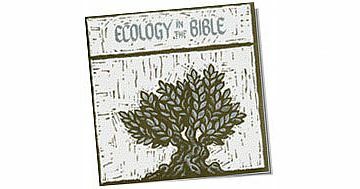 The Biblical view of ecology, the interrelation between organisms and their environment, as expressed and preserved in holidays, symbols and literature. Nature and history are incorporated in the design of the menorah, the 7-branched candelabrum. An exploration of its literal and figurative roots in the land of Israel. Written by Neot Kedumim staff and beautifully decorated with colorful graphics, this handsome Haggadah will enable you to conduct a Tu B'Shvat Seder in your home, school or community. Like the Hebrew seder, the English version is a beautiful color spray of wildflowers and clear text presented in a durable laminated booklet designed for use on the table. Suitable for large or small school, synagogue, or community celebrations, as well as for individual families, the seder is designed for multi-generational groups. 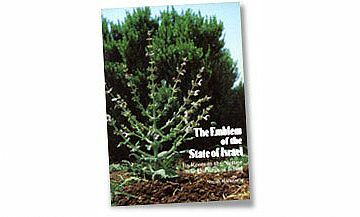 Not a translation of the Hebrew, the English version is a completely new text that celebrates Israel’s seasons and ecology in the Jewish tradition. The seder is structured around four cups of mixed white and red wine that reflect the changing colors of Israel’s landscape through the seasons—a custom originated by the 16th-century kabbalists in Safed. Incorporated in the seder are ecological concepts that appear in the Bible and the biblical tradition: biodiversity, human obligations and restrictions in relation to the earth, the Sabbath and sabbatical year.